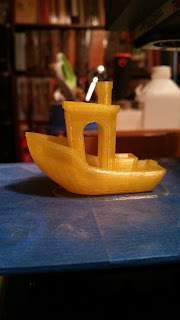 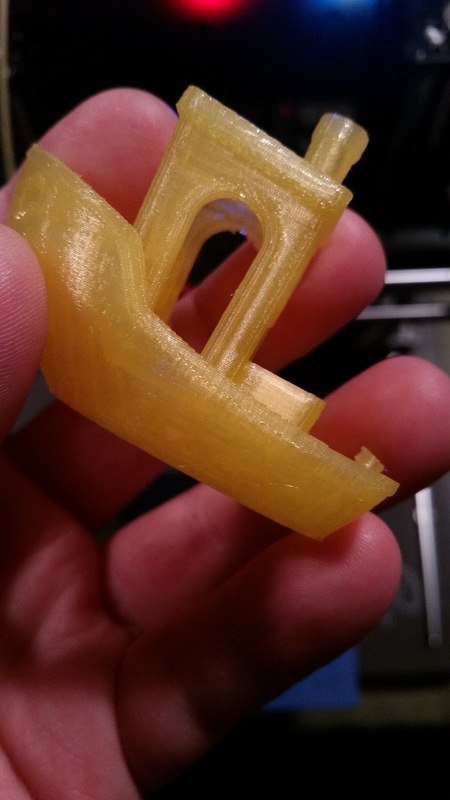 dbclunie: 3D Printing : Trinus3d Printer from Kickstarter Odd behaviors For Certain Prints? 3D Printing : Trinus3d Printer from Kickstarter Odd behaviors For Certain Prints? UPDATE: Additional findings and possible conclusions! All sliced in their software Pango - So I have a couple of prints that I was doing I derived from http://www.thingiverse.com/thing:961176 . 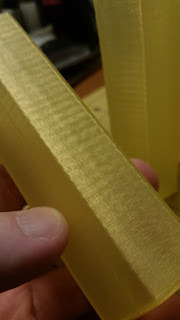 I printed the initial hive file (or a remix actually that just added windows to the back to snake your cable through) and with the initial print I kept getting this terrible banding along the z-axis which I thought might be z-wobble but it seems a bit too "wide" to be so, so I'm not sure exactly what this is or how to fix it or what causes it. 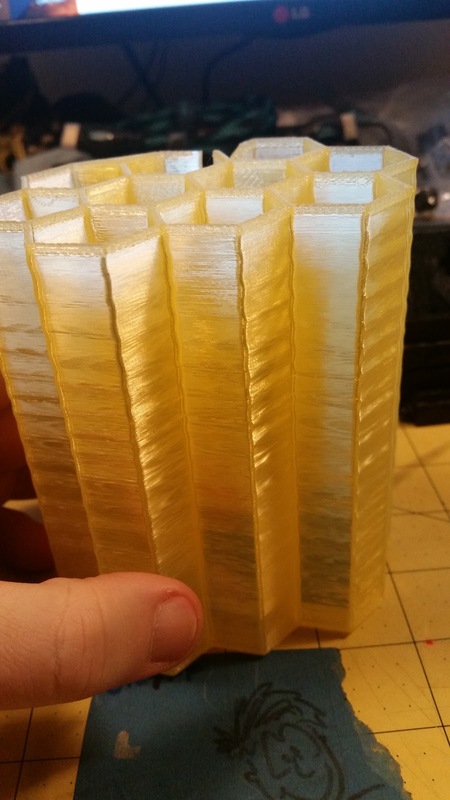 If you run your finger along the walls you can feel the bumps so its not just within the print. 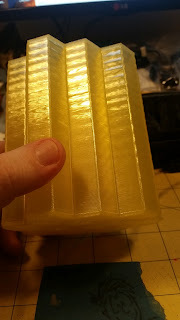 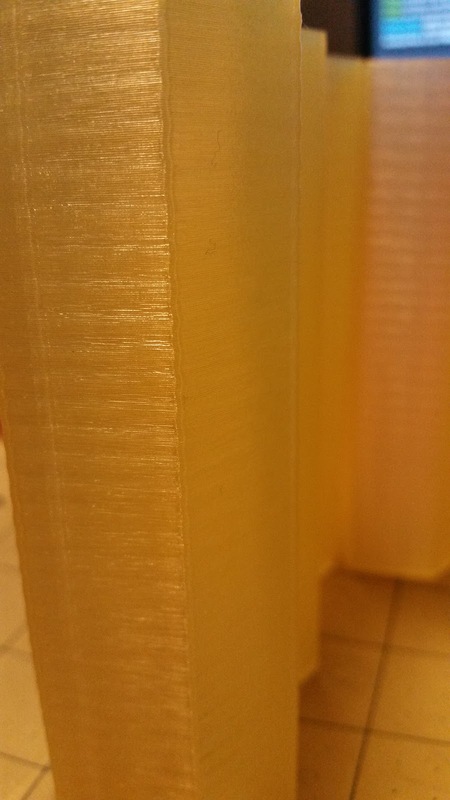 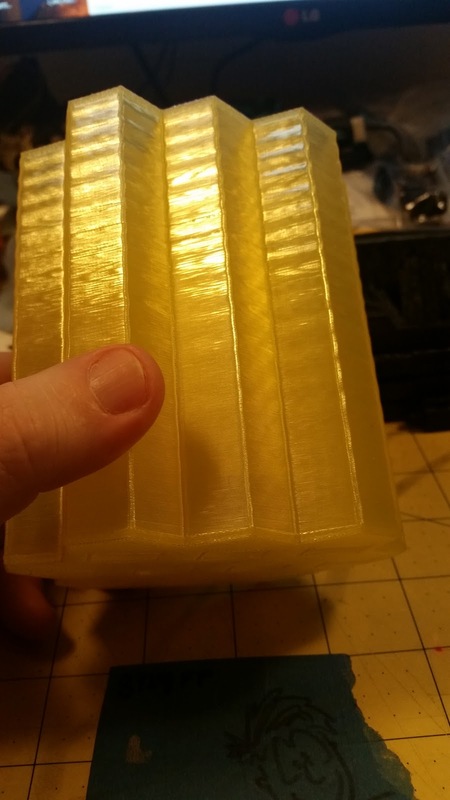 could this be a result of some kind of weird infill (which i think i had set to 20% but as you can tell the walls are thin enough where it doesn't do any infil.